The Sega Dreamcast didn’t die for a lack of good games, but many of the gems that launched on Sega’s final console, like Crazy Taxi, Jet Set Radio, and Seaman, never got the love they deserved. 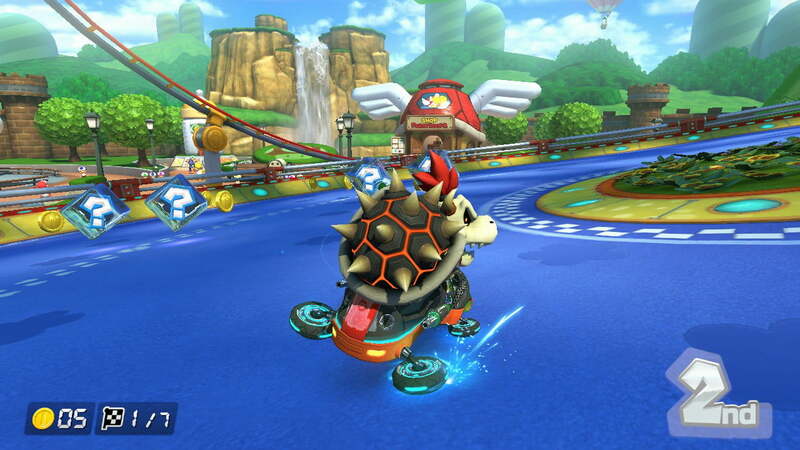 If Nintendo had let the Wii U be its swan song, Mario Kart 8 would have gone the same way. The Wii U was an abject failure with sales totaling just 13 million across the console’s lifespan. Compare that with the 100 million plus the Wii moved, and it’s easy to see why the company was eager to move on to the Nintendo Switch. Now that the Switch has shown early signs of success — its early sales reportedly eclipsed both the Wii U and the original Wii — Nintendo has a rare opportunity. Mario Kart 8 Deluxe marks the company’s first victory lap on Switch, and if it’s smart there will be many more to come. Mario Kart 8 Deluxe marks the company’s first victory lap on Switch. 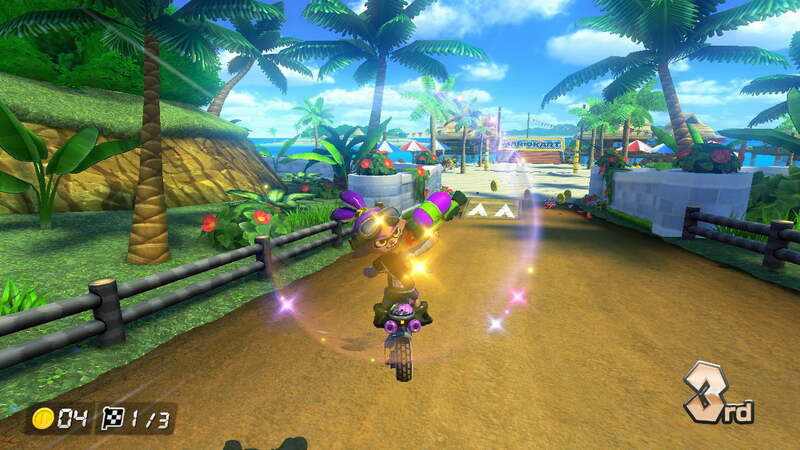 For most anyone who owned a Wii U — not that there were many of us — that’s exactly what MK8D is: A victory lap. The latest Mario Kart game compiles everything released from Mario Kart 8 on Wii U, including all its extra downloadable courses and racers, and sprinkles a smattering of new content on top. There are new racers, like the Inkling Boy and Inkling Girl from Splatoon. The courses are a mix of “new” levels first seen in Mario Kart 8, and old levels from as far back as the Super Nintendo days totally redone in stunning HD 3D graphics. 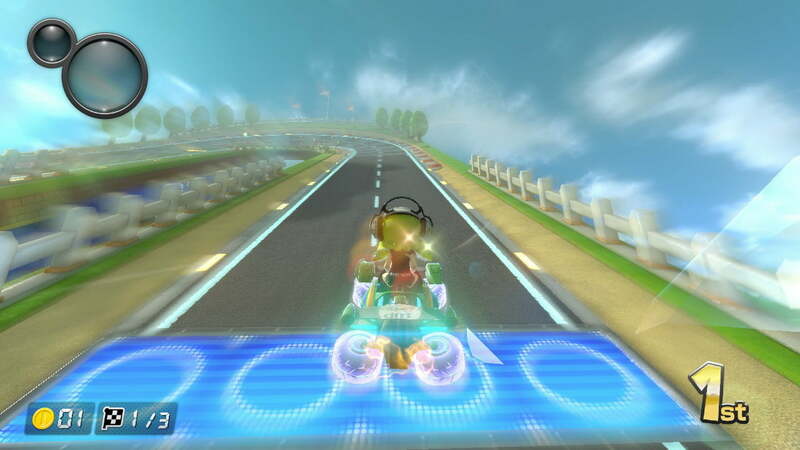 There are also some minor gameplay tweaks that Mario Kart 8 vets will appreciate. You can hold two items at a time now, a new high-speed 200cc race category that will have all but the most skilled players regularly careening off the edges. Most important of all: Unlike in past Mario Kart games, almost everything in the game is unlocked the first time you boot it up. Choose from among dozens of characters and maps, wrestle with the Switch’s interface to get up to four controllers connected, and that’s it. You’re racing. Mario Kart 8 on Nintendo Switch earns the “Deluxe” in its name with this absolute wealth of content and options, and by choosing not to gate any of it off Nintendo is sending a message: They get it. They couldn’t actually call this version “Mario Kart 8: Second Chance” or “Mario Kart 8: This Might As Well Be a Brand New Game Because Nobody Bought a Wii U,” but they didn’t have to. The game’s presentation — its confidence in itself, and in its players — says it all. 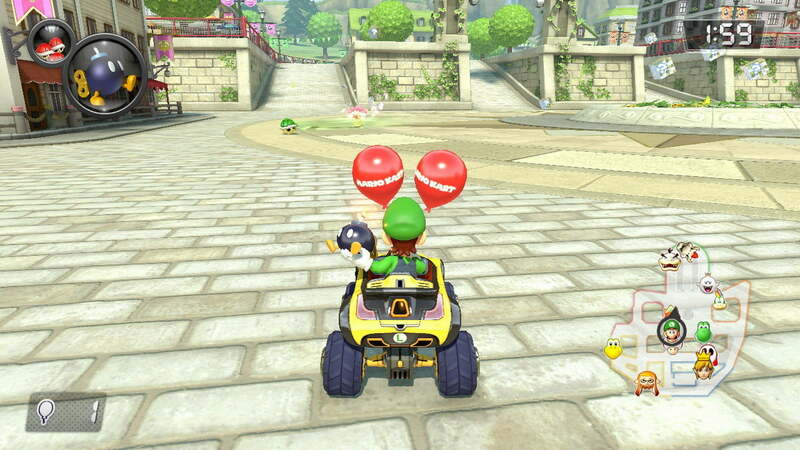 More important, Mario Kart 8 Deluxe is a nitro-injection of validation for Nintendo fans who couldn’t bring themselves to buy a Wii U, but felt hopeful enough to buy in early on Switch. It makes you think to yourself, “You were right.” The Wii U was lackluster, and Switch will be better. Games that were good on Wii U, or even great, like Mario Kart 8, are even greater on Switch. Nintendo Switch is the “deluxe” console, and you’re a deluxe fan. You deserve it. There’s a lesson here for Nintendo. The Legend of Zelda: Breath of the Wild’s overwhelming success show how much potential the Switch has for new ideas, and the system’s portability could make it the best platform ever for retro games if Nintendo ever bothers to get the Virtual Console up and running. But the Switch can also be Nintendo’s victory lap for the Wii U, a failed console that, in hindsight, had no shortage of classic Nintendo games. Every great Wii U game — Pikmin 3, Mario Maker, Donkey Kong Country Returns, Super Mario 3D World, Bayonetta 2, The Wonderful 101, Wind Waker HD, Paper Mario Color Splash, hell, throw Star Fox Zero in there if they can fix the controls — deserves a second chance. Nintendo needs to tweak them, tune them, go all in, and release them on Switch, like they did with Mario Kart 8 Deluxe. This too if it really wants to make fans happy. Nintendo has lost credibility over the last few years, and the Switch is only beginning to earn it back. Anyone still confident enough to buy a Switch on the strength of Zelda alone, or on the promise they see in Nintendo’s new future, deserves the deluxe treatment from Nintendo.